Being born in Germany and playing major-league baseball is not as rare a thing as one might imagine. There have been 42 major leaguers born in Germany, 21 of them pitchers. One of the pitchers was Tony Welzer, born somewhere in Germany on April 5, 1899. Given the changing borders over the years, one might well say he was born in Poland. He was indeed of Polish descent. Welzer was a right-hander whose big-league work was exclusively for the Boston Red Sox in 1926 and 1927. He is listed as 5-feet-11 and weighing 160 pounds. He won 10 games for the Red Sox, four the first year and six the next. He also pitched in 305 known minor-league games, from 1922 through 1932. It was for an East Milwaukee company team, in September 1920, that we first find Welzer in the news. The visiting Bucyrus team from Evansville, Indiana played a three-game series on Milwaukee's Chero Cola field, and Welzer threw a three-hitter, while homering and scoring his team's other run in a 3-2 loss.2 He graduated from semipro ball to Organized Baseball by 1922, playing in Michigan for the Muskegon team in the Central League. He'd attracted attention early on in the Muskegon Chronicle, which wrote on April 24, "Tony Welzer is a sticker, if he continues to fool the batters in the same style he did yesterday. "3 Indeed, he proved a sticker; Welzer was 13-17 in the Class B league, with a 3.58 earned run average. The Muskies finished 67-62. The renamed Muskegon Anglers joined the Michigan-Ontario League in 1923, and Welzer pitched two more very similar seasons for them: 14-16, 3.62 ERA in 1923 and 18-14, 3.61 in 1924. After the 1923 season, he'd been signed by the Chicago White Sox. Welzer went to spring training at Winter Haven but didn't stick with the team and was released back to Muskegon right when the 1924 season began. Welzer moved up to Class A in 1925, playing for the Mobile Bears in the Southern Association. He was 14-13 with a 3.76 ERA–again, rather consistent, even at the higher classification. On September 14, 1925, the Boston Red Sox purchased the contracts of three players, one of whom was Welzer from Mobile. It was written that he was "picked up because of the control he showed, as much as for anything else. "5 The Red Sox had become a perennial last-place team and needed to find some way of escaping the cellar. He made the team out of spring training in 1926 and debuted in Boston on April 13, Opening Day, as the third of six pitchers manager Lee Fohl threw into the effort to beat the Yankees. Welzer pitched a scoreless sixth inning, but was removed for a pinch-hitter, and the Red Sox lost, 12-11. His first start came at Yankee Stadium on April 22 and he gave up five runs in 5 1/3 innings, though the Red Sox won the game in the end. Welzer's first decision was a loss, in Washington on April 27, when he surrendered nine runs (four earned), also in 5 1/3 innings. Welzer won his first game on July 1, in relief in Philadelphia with one scoreless inning, pitching at the right time in the game. Seven innings of scoreless two-hit relief against visiting Detroit on July 8 gave him another win. His best game was certainly the five-hit shutout of St. Louis on August 17. James O'Leary of the Globe wrote up the game and said that Welzer "looks like a comer. "6 By season's end, he had appeared in 39 games (five starts) and produced a record of 4-3, with a 4.86 ERA. 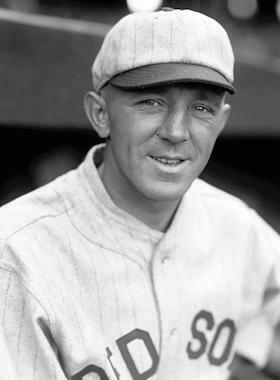 In 1927, Welzer started much more frequently–19 times in 37 appearances–and was 6-11 with a 4.72 earned run average. He benefited from three complete-game wins over the White Sox; one by a 3-2 score, and two by a 2-1 margin. His .353 winning percentage was slightly better than the team's .331 (51-103) under new manager Bill Carrigan. For a reported control specialist, in his two-season big-league career, Welzer walked more batters (124) than he struck out (85), and his career WHIP (walks and hits per innings pitched) was not that good–1.626. Back with Mobile in 1928, Welzer was 17-15 (3.35 ERA). On August 31, his contract was sold to Louisville, with Welzer to report the following spring. That he did. His 1929 season for the Louisville Colonels was 10-13 (4.73 ERA) in Double A ball. His best game was a one-hitter against Columbus on July 14. In 1930, Welzer was back in the Southern Association–this time working for the Memphis Chicks–and he won 17 games while losing only six, though with a 4.78 ERA. He started 4-3 with Memphis in 1931, but the 5.77 earned run average was discouraging. Memphis arranged to send him to Shreveport but Welzer declined the assignment and went on the voluntarily retired list.8 He also pitched for Williamsport (Class B) in the New York-Penn League and was 2-5 (5.82). Welzer's last year in baseball was 1932. He signed with Binghamton (also in the New York-Penn League) and improved his ERA considerably, to 3.77. His record was 6-7. After baseball, he found employment as a machinist for International Harvester.9 At some point, Welzer married Mary "Mae" Albricki, whose father Ladislaw was born in a part of Poland that was listed as "Russia" at the time. She died in 1958. The couple had no children. Tony Welzer died of respiratory failure on March 18, 1971, in Milwaukee. About four weeks earlier he had suffered a massive basilar artery occlusion which led to his hospitalization at St. Francis Hospital. In addition to the sources noted in this biography, the author also accessed Welzer's player file and player questionnaire from the National Baseball Hall of Fame, the Encyclopedia of Minor League Baseball, Retrosheet.org, Baseball-Reference.com, and the SABR Minor Leagues Database, accessed online at Baseball-Reference.com. 1 Welzer's player questionnaire at the National Baseball Hall of Fame completed by daughter Stella Szuchnicki. 2 Evansville Courier and Press, September 7, 1920. 3 Muskegon Chronicle, April 24, 1922. 4 Boston Globe, April 2, 1925. 5 Boston Herald, September 15, 1925. 6 Boston Globe, August 18, 1926. 7 New York Times, December 8, 1927. 8 (Baton Rouge, Louisiana) State Times Advocate, June 20, 1931. 9 Milwaukee Journal, March 19, 1971; Welzer's player questionnaire.